Madeleine Pownall, a Psychology undergraduate at the University of Lincoln, has concerns. On paper, the A-level syllabus is fascinating. It explores gender, eating behaviour, aggression, sleep, perception and more. However, there is a clear discrepancy between the A-level course and the world of psychology beyond the classroom. This is not the first time that A-level psychology has been scrutinised, but up to now the conversation has been reserved for commentary from established psychology academics. As a psychology undergraduate and recent A-level alumna, I call upon students, academics and teachers to join the discussion on how we can bridge the gap between A-level and university. The topics in the AQA syllabus are areas of study with potential for serious discussion and controversy. Arguably, debate is a hallmark of any good research question or theory. Unfortunately, psychology A-level leaves little room for this. There is a large amount of content, meaning that lessons are often a whistle-stop tour of a particular area. How can we expect to teach the science of human behaviour and not allow any time for immersive and inquisitive conversation? Cohorts of students are leaving sixth form or college alienated and confused by the rigid teachings of A-level psychology, and so may cut their psychology career short. Or rather, students sign up for the BSc and are wholly unprepared for the critical thinking that is expected of them – and so quickly drop out. I’m not sure which one is worse. Sixth form saw a full day of timetabled hourly lessons, with a clear syllabus and relatively little self-directed study at all. With this in mind, it is no surprise that undergraduates struggle with the transition to university. It is also no surprise that the number of students dropping out of university in first year is higher than ever (see Times Higher Education, March 2017). Most of my university timetable is left free for ‘self-directed study time’. This aims to cultivate an ethos that encourages original thought and nurtures self-motivated learners. However, this approach is worlds away from the culture of A-level psychology. This discrepancy is particularly salient given the long-standing published research which identifies ‘feeling academically unprepared’ as a main motive for dropping out of university (see Rickinson and Rutherford, 1995). I propose that education is more generally approached as an overriding interdisciplinary experience, with more fluid transitions between stages. The A-level assessment structure does not equip students with the skills they require in a degree and beyond. During my A-level I never wrote an essay or a scientific report. Jarvis (2012) notes that report-writing in psychology A-level has disappeared completely since 2008. Prose-based assignments are cornerstones of a psychology degree structure – and a key skill to have in order to pursue any applied psychology career. However, despite AQA’s best efforts to replicate this – using all the right phrases in exam papers: ‘Outline and evaluate’ and ‘Assess’ – the assessment of A-level content is too limited to engage students in any meaningful way. After reviewing a past A2 paper, I found a model answer to an ‘Assess’ question. Validity, reliability and replicability were accepted as ‘evaluation points’ in a bullet-pointed list. China Mills and Jenny Slater, two psychology lecturers from Sheffield, attempted to answer psychology AQA exam questions. They approached the question with a critical eye, offering a contemporary interpretation of the issues. However, their answers were not included in AQA’s list and so they scraped few marks. I fear that the results-orientated culture has caused the A-level to compress interesting topics into neatly structured exam questions, rather than nurturing a generation of engaged critical thinkers and evaluative minds. It is therefore unsurprising that high performance in psychology A-level does not predict degree classification (Betts et al., 2008). Ultimately, it is left to both undergraduates and academics to ensure that transition from the rigid and prescriptive nature of A-levels to the independent ethos of universities is done smoothly. Therefore, and I ask this with genuine interest in responses, where do we go from here? What can psychologists do to improve this transition? - See also 'The journey to undergraduate psychology', and our forthcoming 'Guide to University Life'. Phil Banyard and Helen Kitching have responded, about the role of the British Psychological Society's Standing Committee on Pre-Tertiary Education. Firstly, I would like to say that I’m really sorry that you felt you had such a negative experience during your A-level psychology studies. As teachers, we want our students to leave our courses feeling inspired and with a love of our subject. I would like to address some of the points made in your article. Firstly, AQA is only one of a number of A level awarding bodies who all offer a different take on the core curriculum. For example, the board that I teach, doesn’t cover any of the topics that you mention, apart from gender. The breadth of choice available is quite wide and as you say, fascinating. I would argue that the conversation about bridging the gap between A-level and university has already been addressed by a number of teachers in the pre-tertiary sector (for example, Kitching & Hulme, 2013). Interestingly, in June 2012, the BPS convened a group of stakeholders at Chichley Hall to consider the future of A-level psychology and one of the areas that was considered was the transition from A-level to higher education. The stakeholders included colleagues from both the pre-tertiary and higher education sectors. Although I agree, there is always room for further debate! Your experience of being taught A-level psychology may not have included debate and discussion about key topics, but let me assure you that this type of debate and critical analysis does go on in many classrooms throughout the country. I was concerned about your assertion that cohorts of students are leaving sixth forms and colleges alienated and confused by what you refer to as ‘the rigid teaching’. I would really like to see robust empirical evidence of this so that we can address those issues, but I have to say, in my many years of teaching experience, I have never heard of this. In terms of self-directed study, all A-level students should be doing this, although I agree, not to the extent that they do at university and this is where pre-tertiary and higher education should work in tandem to ease this process from both sides. Where the move towards more independent study should begin in year 12 and increase across the two years but also, where the first year of undergraduate study is more supported. In reference to the very slight increase in dropout rates in general, there are potentially a wide range of factors involved including the rise in tuition fees which may well be impacting students who have the most disadvantaged backgrounds and a gap in student support services, as highlighted in the TES article. Again, it concerns me that you write that you never ‘wrote an essay’. Even with the old specification that you would have studied, essays were an integral part of the course. With the new specifications (our first cohort of learners will be settling into their new university courses), all of the specifications require students to write extended prose. The new specifications are much less predictable in terms the questions set in the examinations, so rote learning of essays is no longer an option and they are much more demanding in terms of critical thinking. This change will help our students’ transition more smoothly to university with stronger analytical and critical thinking skills. In reference to your anecdote regarding China Mills and Jenny Slater’s attempts at answering AQA psychology exam questions, can I just point out that their answers were not actually marked by AQA and they made the assumption that they would probably ‘scrape a few marks’. Marks schemes are designed to help markers with ideas of expected content. However, they always include the phrase such as ‘or any other appropriate response’. The following direction is also given in the AQA mark scheme: "Indicative content in the mark scheme is provided as a guide for examiners. It is not intended to be exhaustive and you must credit other valid points. Students do not have to cover all of the points mentioned in the indicative content to reach the highest level of the mark scheme”. Therefore, if an A-level student actually wrote a really super response that properly answered the question, but was not listed in the mark scheme, then absolutely they would get the marks. This is actually encouraged by some of the exam boards! The article by Betts et al (2008) doesn’t state that high performance in psychology A level is not a predictor of degree classification. What it does say is that it predicts achievement in the first year of undergraduate study. As the first year of any undergraduate psychology course is designed to bring all students (those with pre-tertiary qualifications in psychology and those without) up to the same level, then you would not expect psychology A level grades to be a predictor of degree classification (Kitching and Hulme, 2013). Regarding reference to Betts et al. (2008), it is worth noting that they found that performance in psychology A-level did predict performance at first year undergraduate level. 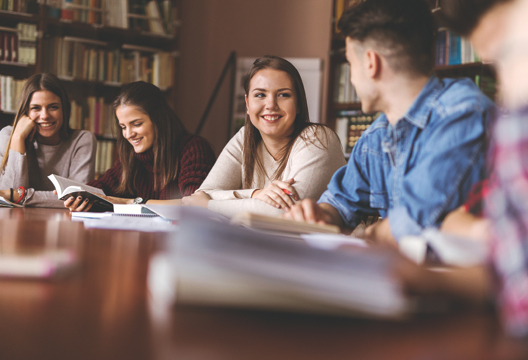 Therefore, this does suggest that A-level psychology does prepare students for their undergraduate degree by aiding in the transition from A-level psychology to degree level psychology. Whilst the authors do accept that performance in psychology A-level did not predict overall degree performance, this is not what the authors would expect given the progressive nature of an undergraduate degree programme. If A-level psychology provided all the required knowledge and skills required for degree level then one could question the value of completing a degree in the subject. Also, as the first year of any undergraduate psychology course is designed to bring all students (those with pre-tertiary qualifications in psychology and those without) up to the same level, then you would not expect psychology A-level grades to be a predictor of degree classification (Kitching and Hulme, 2013). I do hope this has addressed some of your concerns and it is really good to see that you are so passionate about psychology. Betts, L.R., Elder, T.J., Hartley, J. & Blurton, A. (2008). Predicting university performance in Psychology: the role of previous performance and discipline‐specific knowledge. Educational Studies, 34(5), 543-556. Kitching, H. J. & Hulme, J. (2013). Bridging the gap: facilitating students' transition from pre-tertiary to university psychology education. Psychology Teaching Review, 19, 2, 15-30.